Britain's prime minister has again spoken out against calls for a second referendum on Britain's decision to split with the European Union..
Britain's prime minister has again spoken out against calls for a second referendum on Britain's decision to split with the European Union. Theresa May wrote in the Sunday Telegraph that it would be a "gross betrayal of our democracy" to have another vote. She said "millions came out to have their say" in the June 2016 vote that set Brexit in motion. 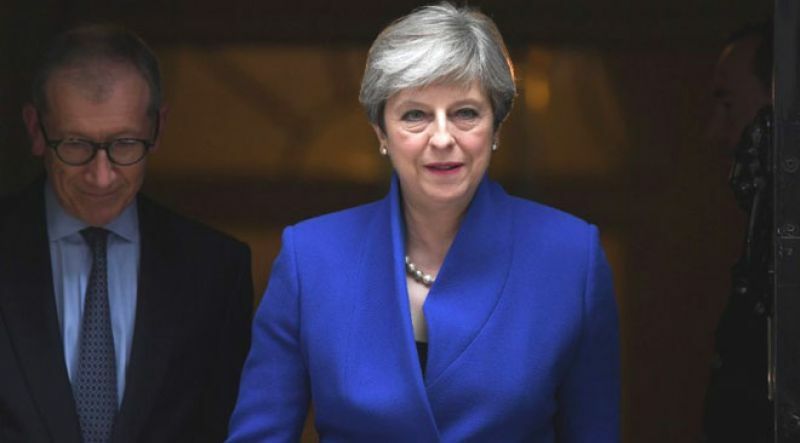 Her embattled government has faced increasingly strident calls for another vote once the terms of Britain's future relations with the EU are known. The prime minister used the column to defend her "Chequers proposal" that would maintain some ties with the EU, and said she won't be pushed around by EU negotiators. Britain is expected to leave the EU in March and enter a transition phase.